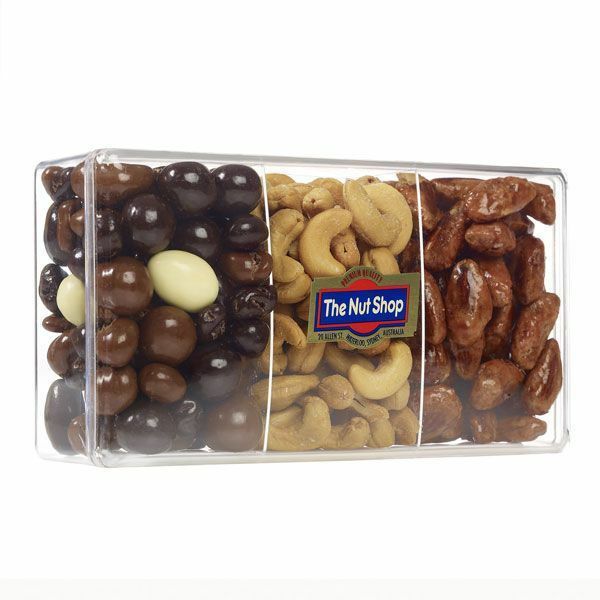 A combination of The Nut Shop's most popular products in one gift box. From Left to Right: Chocolate Party Mix (a mixture of Milk, Dark and White Chocolate coated fruit and nuts), Salted Cashews and Vienna Almonds. Made in Australia. Contains dairy. Low in gluten.